Living in Toronto, we savour the summer months and live for patio season. 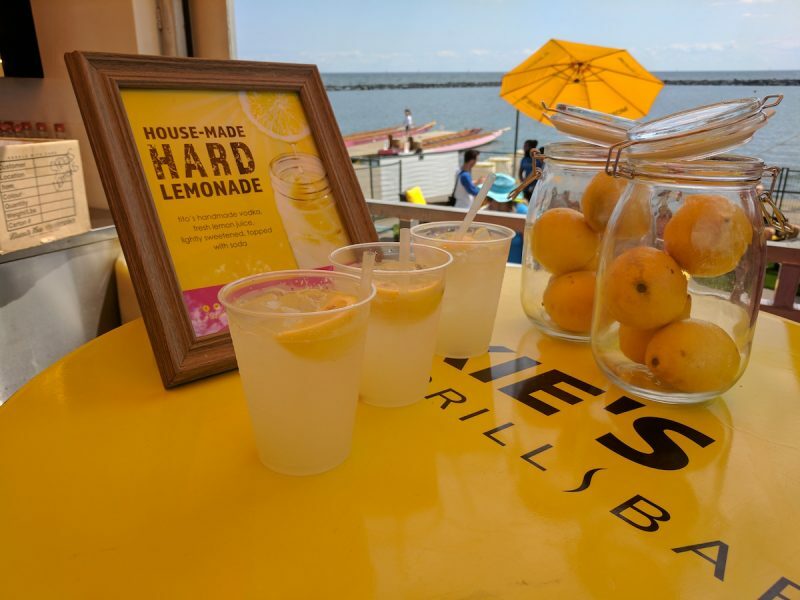 Moxie’s Grill and Barhas come up with a new house made Hard Lemonade recipe that is refreshingly fitting for the summer. They set up Popup Patios at events across Toronto to feature the new drink and I got a chance to check it out. Read on for your chance to win a $150 Moxie's Giftcard so you too can try their House-made Hard Lemonade. I stopped by the GWN sports Regatta this past weekend where Moxie’s was holding one of their Popup Patios. They set up the patio by the lake at Marilyn Bell Park with a beautiful view of the dragon boats racing on the lake all afternoon. Moxie’s popup was the perfect addition to this event as supporters and dragon boat racers got to enjoy Moxie’s new house-made Hard Lemonade during and after the races. Moxie’s Popup Patio definitely added some fun with drinks flowing and music from a live DJ. We had a great time embracing summer patio life in Toronto. Moxie’s new Hard Lemonade recipe uses freshly squeezed lemon juice, soda water and Tito’s Vodka. I enjoyed a few glasses of Moxie’s Hard Lemonade and loved the surprisingly refreshing taste. We also ran into the Moxie’s Popup Patio when we attended the Wine & Spirits Festival earlier this year. You can try it at any Moxie’s location or wherever their patio pops up next! [CONTEST NOW CLOSED - The Winner is Matt D] Thank you all for entering! We're giving away a $150 Moxie's Giftcard to one lucky winner to try Moxie's Hard Lemonade themselves! BLOG: Tell us in the comments (below) who you would share a meal at Moxie's with. There will be 1 winner & the prize is not transferrable. Maximum entries per person = 4 (1x Blog, 2x Facebook, 1x Instagram, ). The winner will be notified by email or direct message and must respond before the deadline indicated in the email/direct message. Failure to respond timely to the notification will result in forfeiture of the prize and another winner will be chosen. Disclaimer: This post is sponsored by Moxie’s Canada. In exchange for this post, I have received perks in the form of products and/or compensation. All opinions on this blog are my own.